In January 2004, Jay L. Bach accepted the position of Director of the ISB. He has played euphonium in the ISB and served as Assistant Director since June 1997. Mr Bach recently retired from the Carroll Independent School District where he served as Director of the Carroll High School Band in Southlake and low brass specialist in the Carroll School System. 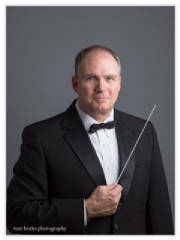 Mr. Bach received a Bachelor's degree in Music Education from Fort Hays University, Hays, Kansas, and a Master of Music Performance from East Texas State University, now Texas A & M University - Commerce, Texas. 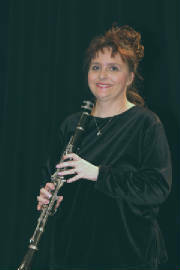 In December 2003, Lola Brown accepted the position of Irving Symphonic Band President. Lola began playing the clarinet at age 12 and played all through high school and was in the Northlake Jazz Band in 1982. She then put down her horn for 15 years for a career and family. After seeing the band perform at the Irving Independence Day Celebration, she joined the band and began playing again in 1996. Lola has been married for over 30 years and has three children. She homeschooled her children until 2008 and upon completion, she attended the University of Phoenix and received an Associate of Arts in Human Services Management and Psychology degree in 2010. In 2012, she received a Bachelor of Science degree in Information Technology and Web Development. Lola works at a local architect firm and also performs with the Plymouth Park Baptist Church Orchestra.